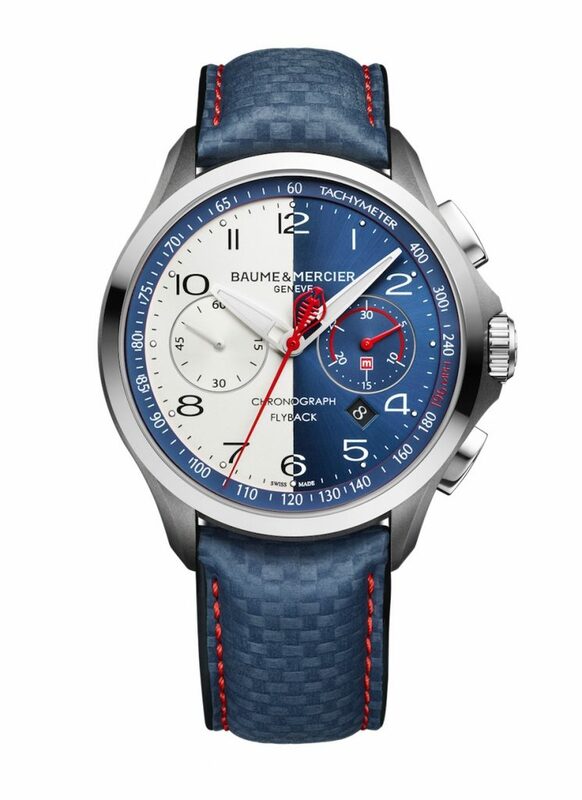 Baume & Mercier Clifton Club Shelby® Cobra CSX2299 Limited Edition watch designed with Peter Brock, designer of the Shelby Cobra Daytona Coupe. In 2015, Baume & Mercier did something no one could have expected from this brand. It entered into a partnership with the Carroll Shelby Company and launched a very exclusive collection of Shelby Cobra® watches that were destined to steal hearts around the globe. 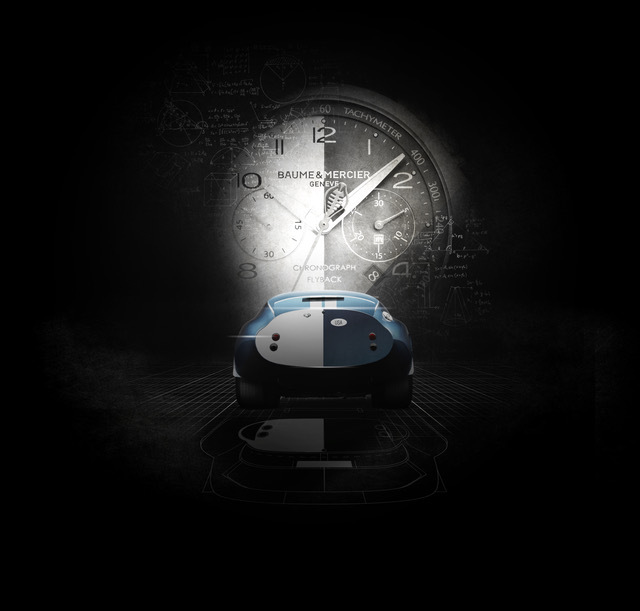 Each year since, the brand has unveiled new timepieces inspired by the legendary Shelby Cobra®. This year, Baume & Mercier takes the collaboration a step further with the unveiling of the new Clifton Club Shelby Cobra Limited Edition watches –designed in cooperation with famed automotive designer Peter Brock and inspired by the Shelby Daytona Coupe. Peter Brock, also an author and photojournalist, is best known for his work on the iconic Shelby Daytona Cobra Coupe in the early 1960’s, and for his work on the Corvette Sting Ray, so his involvement in the making of the new watch is in perfect alignment. In motorsport history, the now 81-year-old Brock is renowned for his genius achievements in design and aerodynamics. 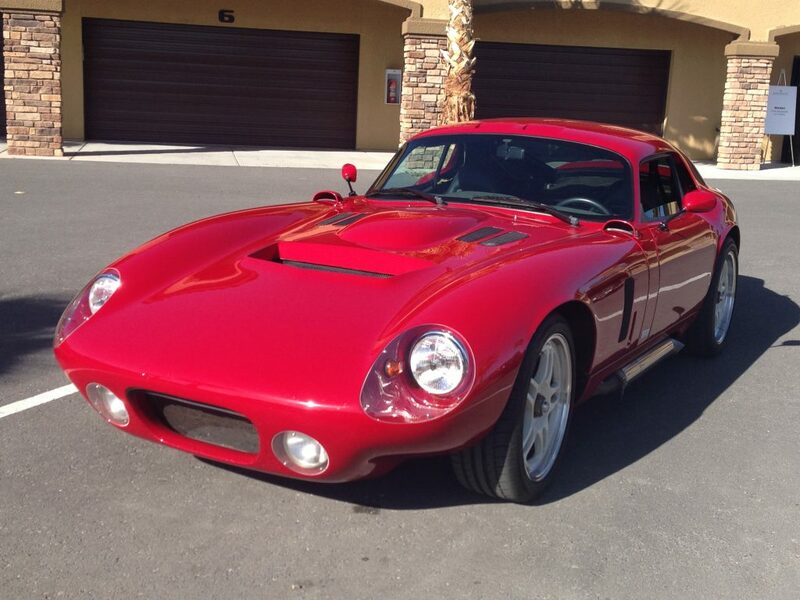 Because of him, America achieved international racing glory with the high-performance 1964 Shelby Cobra Daytona Coupe. I have had the great pleasure of meeting Peter Brock. In fact at the launch of this series two years ago, I spent time in Las Vegas with Baume & Mercier visiting the Carroll Shelby Company and sitting in on one of the most interesting lectures ever: Peter Brock talked about the making of the Shelby Cobra Daytona Coupe and of the race to win on the international circuits. Interestingly enough, 10 years before he designed the beloved Shelby Daytona Coupe, he had left New York in a quest to hopefully become a professional driver of high-performance cars. In Detroit, GM snapped him up as the brand’s youngest designer in history thanks to his design talent and a portfolio of automobiles sketches he had created. 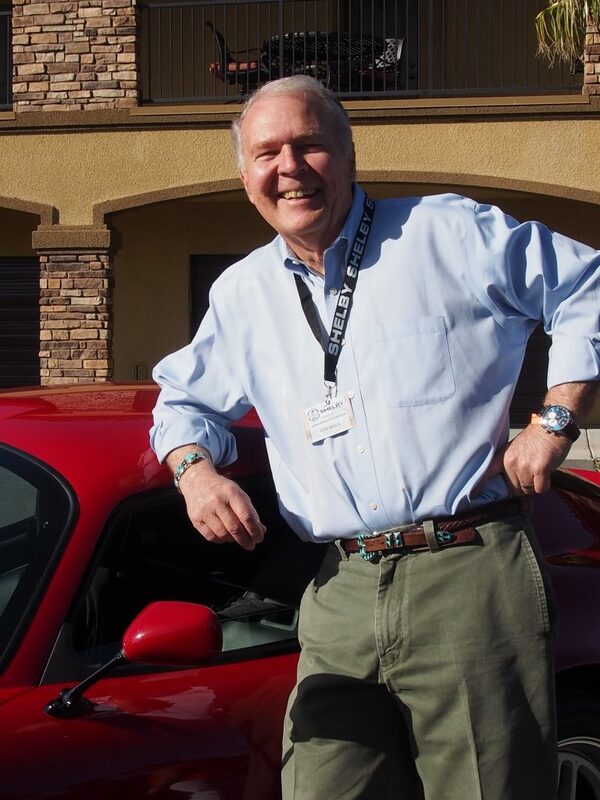 At the age of 19, he was placed on the design team of then-already-renowned designer Bill Mitchell, and tasked with focusing on the future of the automobile. There, instead of adding tail fins and chrome, he created the sleek lines of the now legendary 1963 Corvette Sting Ray. While his thinking was on target, his heart was in racing and he motored back to California, bought a racecar and eventually met Carroll Shelby and went to work as a part of his team. When Shelby asked Brock to sketch a new, better body for the existing Cobra chassis—automotive design history was changed forever. Together with a small team, they brought the aerodynamic GT racer to life, and in less than two months the Daytona Coupe went from sketch to finished car and eventual big winner. 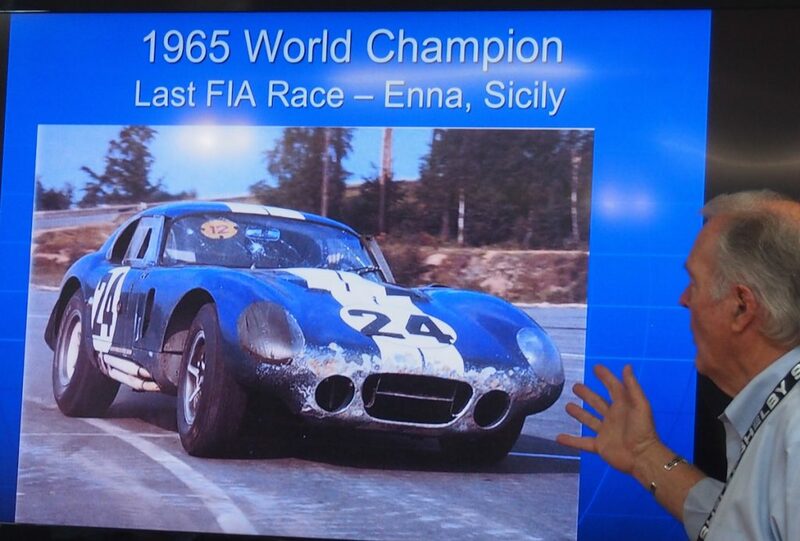 In fact in its first racing season of 1964, the Daytona Coupe was regularly in the winner’s circle. 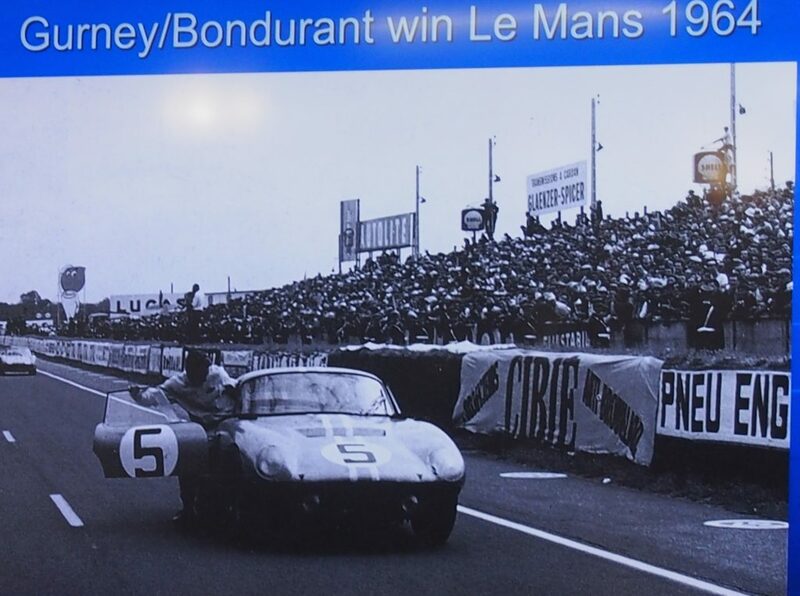 Bob Bondurant (whom I have also had the privilege of meeting) and Dan Gurney drove a Shelby Cobra Daytona Coupe (CSX2299) to the win at Le Mans in 1964 and a year later, the Daytona Coupe became the first American winner of the GT class World Sportscar Championship on July 4,1965. Later that year the CSX2287 set world speed records at the Bonneville Salt Flats thanks to its unparalleled performance stemming from the aerodynamic design of curved body, flat roof and chopped tail. The newest Baume & Mercier Clifton Club Shelby® Cobra Watches celebrate the 196 mph speed the Daytona Coupe achieved at Lemans in 1964. Indeed, Brock’s fascinating story is one of burning desire, passion for perfection and the building of America’s finest racecars. So, as you can imagine, I was thrilled to hear that Brock was working with Baume & Mercier’s design director, Alexandre Peraldi (whom I have also met with multiple times and have great admiration for) for the new Clifton Club Shelby Cobra Limited Edition watches. This marks the first time the Shelby Cobra chronographs have joined the Clifton collection –within the framework of the all-new Clifton Club line developed this year by Baume & Mercier to focus on the “gentlesportsman” concept. The half/half dial of the Baume & Mercier Clifton Club Shelby® Cobra CSX2299 Limited Edition watch designed with Peter Brock takes it color codes directly from the Daytona Coupe: Daytona Blue and Daytona Silver. In honoring the Daytona Coupe, Baume & Mercier creates three versions of the new series. The most iconic and alluring is the Clifton Club Shelby® Cobra CSX2299 flyback chronograph, made in a limited edition of 196 pieces in honor of the record speed of 196 mph that the car achieved at Lemans in 1964. This titanium and stainless steel watch features a dial split vertically down the middle with one side in Daytona blue and one side in Daytona silver for bold appeal. The dial is inspired by Brock and is meant to recall the half blue/half silver colored Shelby livery selected for the Daytona’s tail marking. The dial of the 44mm watch features Arabic numerals in reverse color codes from the dial background (so white numbers on the blue side of the dial and dark numbers on the silver side of the dial). The blue tachymeter scale on the outer edge of the dial highlights the record-setting 196mph speed. Red is the accent color used for the running seconds and for the chronograph seconds hand, which also has the famed “cobra” logo motif on one end. Brock also originally created that Cobra logo for the Shelby brand. 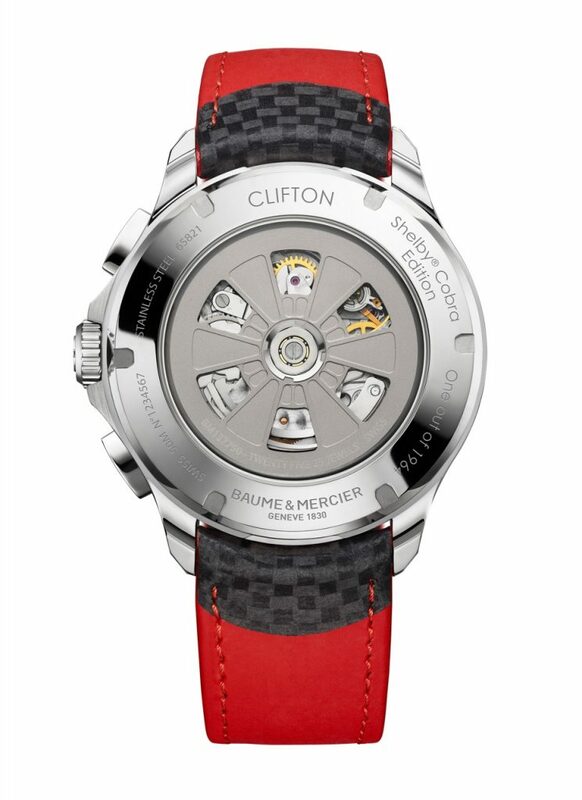 The caseback of each of the Baume & Mercier Clifton Club Shelby Cobra editions watches has the number engraved on the case back and features the oscillating weight made in the likeness of the Daytona Coupe’s alloy wheels. The chronograph pushers are shaped like the foot pedal of the car and the Cobra insignia is forged into the case side with lines reminiscent of the Daytona’s powerful Cobra 289 engine. The oscillating weight – seen via a transparent sapphire case back – recalls the glorious Daytona wheels. 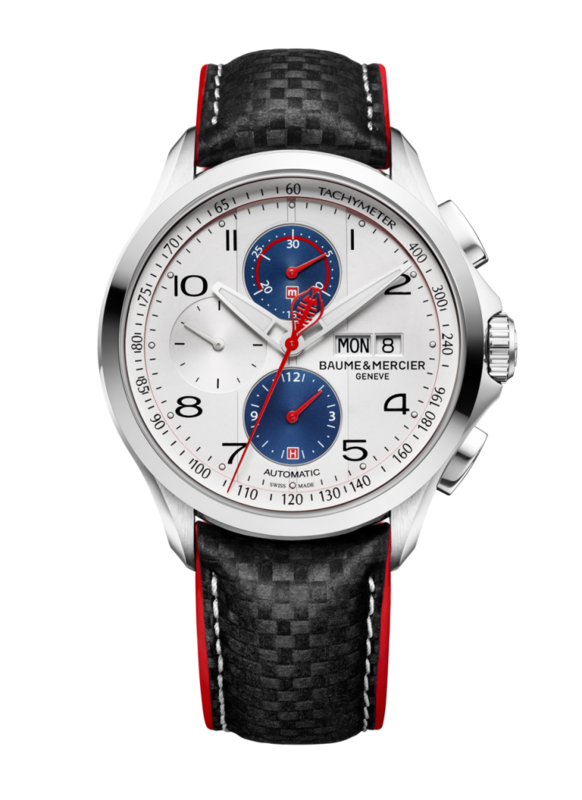 The blue calfskin strap with inner rubber lining and bright red stitching has a carbon-like automotive motif. A Swiss-made self-winding La Joux-Perret 8147-2 movement with flyback chronograph function powers the watch. The flyback function allows the wearer to move from one chronograph reading to the next with a single button push. There is no need to hit stop and then reset. The watch also offers date indication at 4:00 and 42 hours of power reserve. It is sold in a presentation box with an exclusive 1:43 scale model of the Shelby Cobra Daytona Coupe, and with an original card signed by Peter Brock. There is absolutely no way a true Shelby Cobra lover cannot have a burning desire for this watch, especially at the price of $7,950. 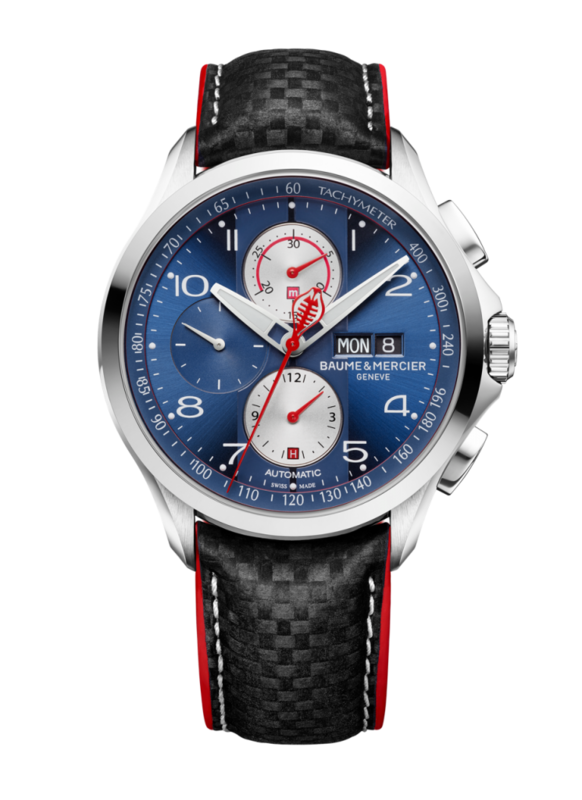 Baume & Mercier Clifton Club Shelby® Cobra Automatic Chronograph Limited Edition watch designed with Peter Brock, is being made in an edition of 1964 pieces. In addition to the Clifton Club Shelby® Cobra CSX2299 flyback chronograph, Baume & Mercier also offers two other models– each created in a limited edition of 1,964 pieces. These versions – one with a silver dial with blue subdials and the other with the reverse color motif – are automatic chronographs (counters stacked vertically) with tachymeter outer ring and day/date indication at 3:00. Retailing for $4,450, these watches have the same exciting red-hued highlights on the dial, and red Cobra motif on the chronograph seconds hand. Additionally, the black strap has an automotive motif, red rubberized edging and white stitching. Other key features that carry over from the flyback chronograph version to these two models are the foot-pedal replica chronograph pushers and the alloy wheel design for the oscillating weight visible on the case back. The 44mm steel watch offers 48 hours of power reserve, and, like the Baume & Mercier Clifton Club Shelby® Cobra CSX2299 flyback chronograph, is water resistant to 5 ATM.Once again, Peter Brock and Baume & Mercier have produced winners. Each of the new Clifton Club Shelby Cobra Chronographs features Daytona Coupe colors, and the Shelby Cobra logo designed by Brock for the brand in the 1960’s as the tip of the chronograph seconds hand.